In Goddess of Battle, two young women prove friendship is possible between enemies, and if there is will, there is always a way to make the world a more peaceful, prosperous, generous place for everyone. Tyra, granddaughter of Holocaust survivors and herself survivor of an abusive relationship, moves to Israel to start a new life – as a border policewoman stationed at a West Bank roadblock. Noureen, daughter of a successful Bethlehem merchant interested in the politics her father dislikes as unbecoming to a young woman, is learning to love the older man her parents decide she should marry. 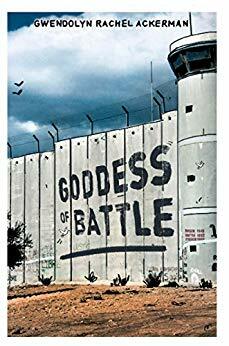 The Israeli-Palestinian conflict throws these two into confrontation in a novel written by a journalist who has covered both sides of the battlefield for more than 30 years. The stories of Noureen and Tyra attempt to give the reader a unique window into life that escapes daily news coverage.